The idea of a below-the-belt selfie apparently turns off investors. That's one way to sink your stock. Shares of Amazon.com were down 1.62 percent today after the company’s founder and CEO wrote a remarkable blog calling out the National Enquirer tabloid for trying to blackmail him with personal pictures and texts he exchanged with a girlfriend Lauren Sanchez. 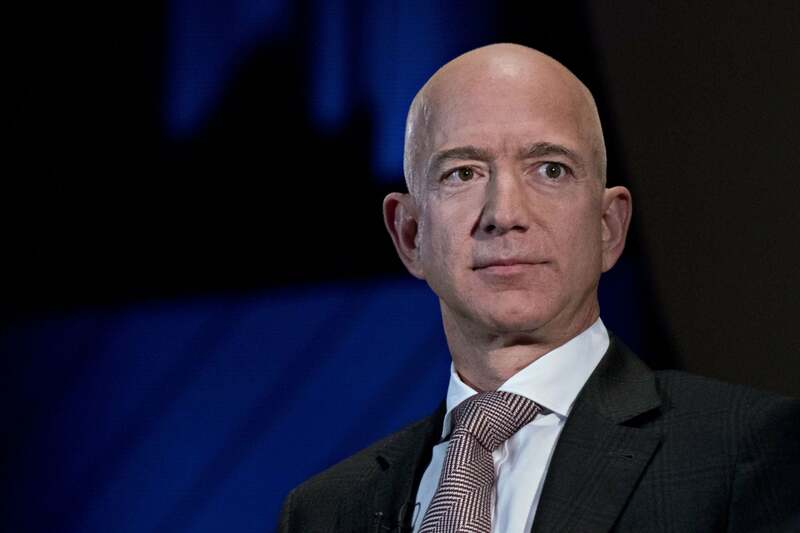 Mr. Bezos — the world’s wealthiest person — is currently undergoing a divorce from his wife Mackenzie. Twitter, (-2.56 percent), however, had the biggest decline in the technology sector and on the Entrepreneur index for the second consecutive day. It fell nearly 10 percent yesterday after it reported better than expected financial results but lowered forward guidance and warned of rising operating costs. The stock is down 37 percent since last June, but is still up four percent this year. The broader stock market shook off worries about slowing global economies and the U.S./China trade negotiations with an afternoon rally. After falling in the morning, the S&P 500 and Nasdaq Composite indexes closed the day up 0.07 percent and 0.14 percent respectively. The Dow index, however, lost 0.25 percent and the Entrepreneur index was down 0.41 percent on the day. Economic growth was investors biggest concern today. The European Commission cut its 2019 forecast for growth in the nineteen-country Eurozone by nearly a third to 1.3 percent yesterday, citing the uncertainty of the Brexit process as a contributing factor. Meanwhile, President Trump said yesterday that he didn’t expect to meet with Chinese President Xi Jinping before the Mar. 1 trade deal deadline. Theoretically, tariffs on billions more in Chinese exports to the U.S. will go into effect at that point. Economy-sensitive stocks on the Entrepreneur index were hit hard today. Fedex Corp., which late last year warned that slowing global economies and the U.S./China trade dispute would hurt its results, fell 2.28 percent. Homebuilder D.R. Horton Inc. was also down sharply, falling 1.9 percent. Capital One Financial was down 1.52 percent and L Brands fell 1.89 percent. Other significant declines on the index included O’Reilly Auto Parts, (-1.43 percent), and Wynn Resorts, (-1.32 percent). Clothing-maker Under Armour Inc. had the biggest gain on the Entrepreneur index today, rising 1.87 percent. Estee Lauder Companies, (1.58 percent), was also up smartly. The cosmetics maker saw its stock jump nearly 12 percent on Wednesday after stellar growth in Europe and Asia helped it easily beat earnings and revenue estimates for the fourth quarter. Other gains on the index included business services company Cintas Corp. (1.29 percent) and shopping center REIT Kimco Realty Corp. (1.19 percent).